The fast paced evolution of technology platforms which now provide buyers and sellers increased access to property information, and the emergence of new online platforms has forced the traditional real estate sector to re-evaluate its value proposition. This is not uncommon and we have seen it in many industries. But with the advancement of platforms where buyers and sellers can meet independently, will estate agents be phased out? This is one of the debates currently waging in the US, where leaders are posing whether the future will see “agent-enabled tech” or “tech-enabled agents”. While technological advancement is massive in terms of getting more people to see property listings, it should be noted that property is a financially significant and legally complex transaction. It is not as easy as just listing your property online and waiting for buyers. A lot can, and often does go wrong with a property transaction. When the dust of newness settles, most sellers (and arguable many buyers) still prefer to have an agent facilitate the transaction. The opportunity here is for traditional real estate players to identify and unlock “new value” for customers. It is always exciting to be pushed out of one’s “comfort zone” and to look for new opportunities and ways to do things better and the rapid move in technological advancement evident this year, has served as a reminder of this. That is doubtful. Even in advanced real estate markets such as the USA and UK, estate agents still play a key role. Looking at certain other sectors within the broader service-industry, we have seen instances where innovation has almost, if not totally replaced the human component in the overall transaction process – a simple example would be paid parking areas, where previously, motorists needed to engage with the attendant, but now it is a very successful self-service. However, in complex service areas which involve multifaceted and financially significant transactions, such as real estate, an experienced advisor will always be required to play a role in facilitating the transaction and close the deal. Very few real estate transactions amount to a simple offer and acceptance process, there are always interactions necessary. Technology will not remove the need for traditional real estate companies, but will force them to re-examine the way in which they operate and engage with customers. We will almost certainly see a move by real estate companies and their agents to re-evaluate their offerings to customers. Those who don’t adapt to the changing paradigm, will not survive in the long term. 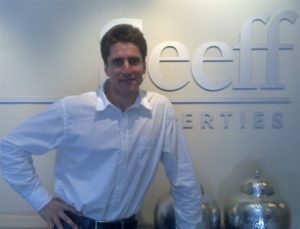 Seeff does not perceive technology as a threat to our business and agents, but as an opportunity. There will always be a segment of the market confident enough to manage their own property transactions on a technology platform and these offerings will therefore have some level of appeal in the market. However, much the same way as the travel agency sector had to “repackage” itself and elevate its value proposition when online revolutionised the travel industry, real estate brands such as Seeff are looking at adopting the very best tech innovations to similarly equip our agents to provide a better service experience to our clients. We often tend to associate the term “innovation” purely with technological innovations, however, a winning real estate brand will be one that harnesses all forms of innovation – including tech – to ensure that the value proposition delivery to the client is not only met, but exceeded.